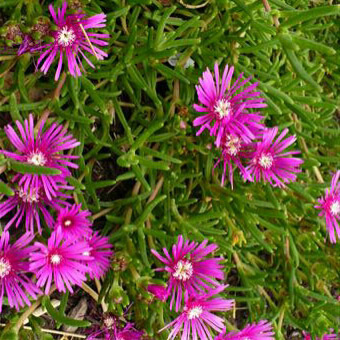 Ice plant, a good ground coverer with red-purple daisy-like flowers. Height to 6ins. and 2-4ft wide. 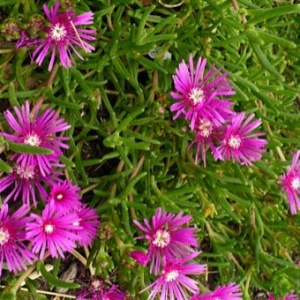 Grow in a well drained soil.